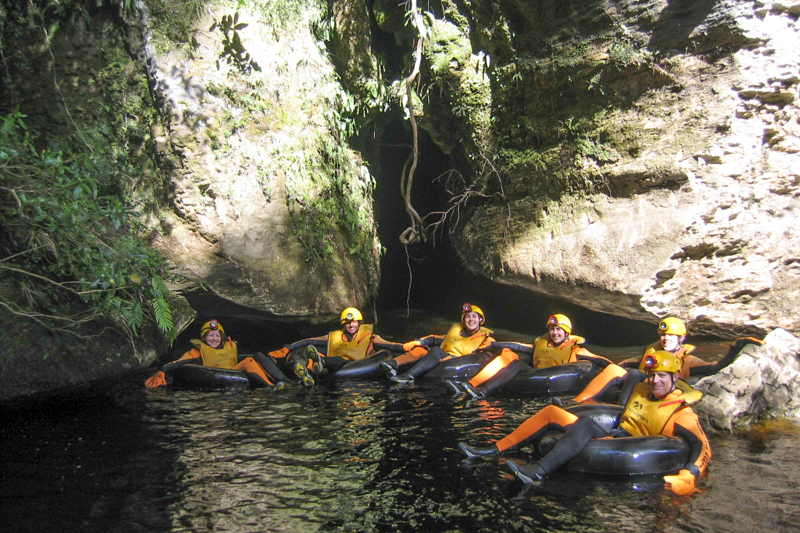 Underworld Adventures are located in Charleston near Westport on the West Coast of the South Island and will show you a voyage of discovery that is suitable for all ages and abilities. 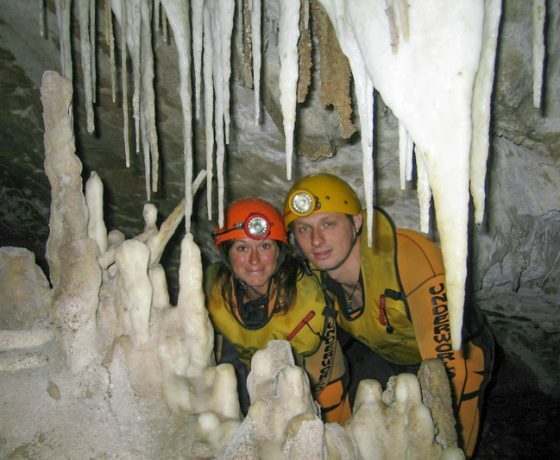 With four distinct cave & karst adventures to choose from including Underworld Cave Rafting, Adventure Caving, a Glow-worm Cave Tour and a Rainforest Train. 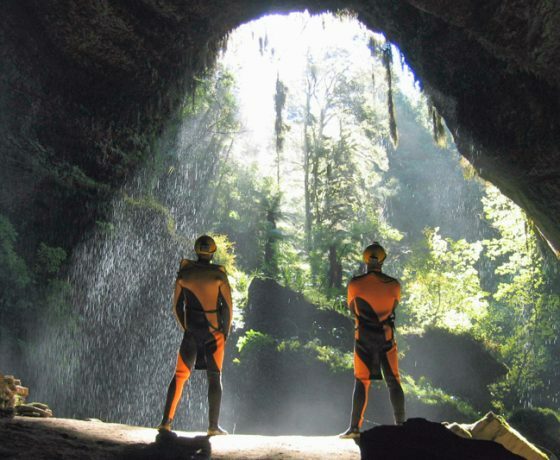 In one of New Zealand’s largest unmodified Cave Systems you will experience spectacular stalactites and stalagmites, galaxies of glow-worms and a water cave complete with abseils, climbs, crawls and squeezes. Visitors are met at our modern Charleston Base or at their accommodation in Westport. 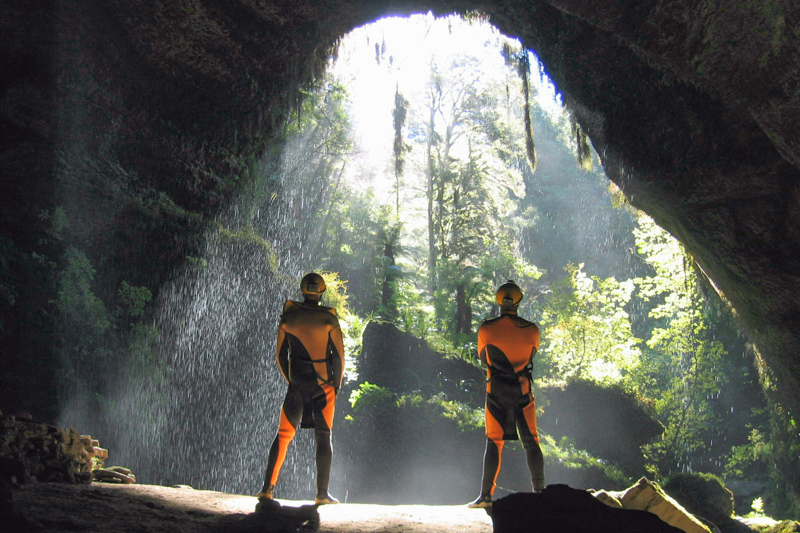 For this journey no special clothing or equipment is required other than a caving helmet with its own light source which will be supplied. Starting from our base in Charleston a short 10 minute’s drive in one of our licenced vehicles brings you to the starting point of your journey. Surrounded by the typical West Coast rainforest we hope off the bus,and board our rainforest train at the start of the Nile River Canyon. 15 minutes journey takes us up to a splendid upper terminal right in the heart of the lush rainforest. Following the river upstream, a short walk is the perfect time to enjoy the tranquil beauty of the lush native bush, soak up the peaceful atmosphere and to make our way up to the cave entrance. Leaving the river bed 130 odd steps lead to one of the highest entrances where we disappear high above the Nile River into the cave system. Emerging into this hidden world the group explores the enormous Nile River Caves System, seeing, feeling and getting close to an ancient wonderland sculptured in limestone complete with amazing formations. Along the way the group will visit an acclaimed calcite paradise in the Hall of Refugees before taking in the breath taking Main Entrance. 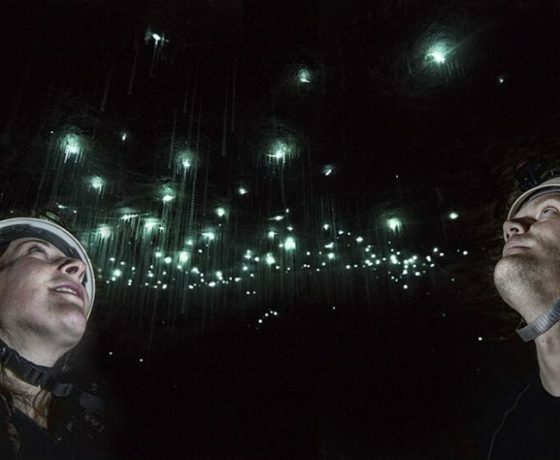 In this part of the cave an amazing galaxies of glow worms illuminating the underground passage can be viewed and the group can get close up to these incredible dwellers. 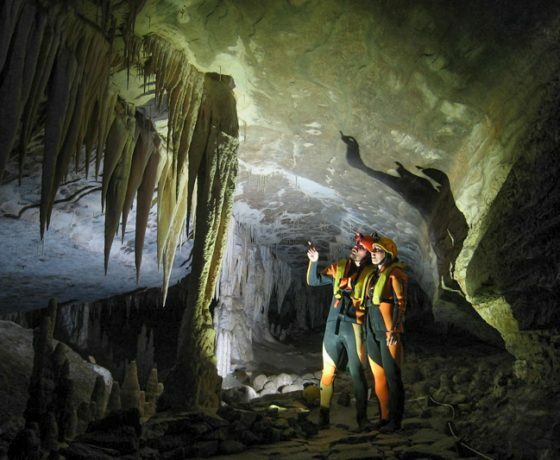 The walk through the labyrinth of large dry passages is enriched with illustrations, explanations and stories how the cave has formed, local caving history and interesting facts and figures. Returning to the entrance finally the group returns to the surface and after a short stroll back to the train the party journeys back to Charleston entering civilization after a journey that takes you deep in a natural, unspoiled and one of the very few undeveloped caves where it is possible to travel without specialized clothing or equipment. 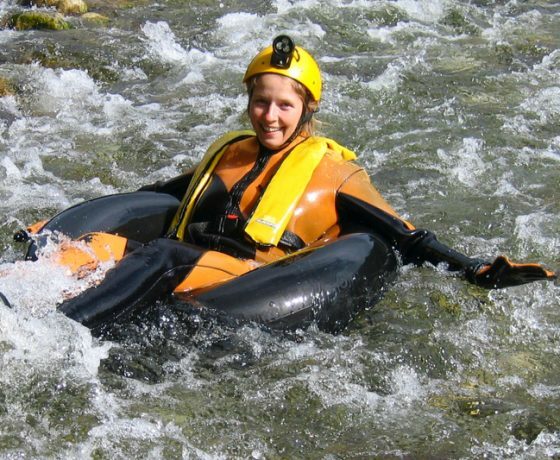 Underworld rafting is a superb 4 hour Black Water Rafting adventure in the enormous Nile River Cave in the Paparoa National Park. On this adventure you are equipped with wet suits, wet suit socks boots gloves and helmet at our unique purpose build base in Charleston. After changing we leave base ready for an adventure and a short 10 minute’s drive brings us to our starting point. Surrounded by the typical West Coast rainforest we hope off the our bus and board one of our rainforest trains at the start of the Nile River Canyon. 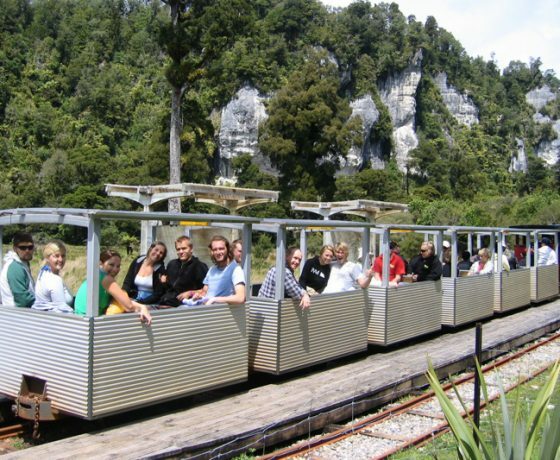 15 minutes journey takes us up to a splendid upper terminal right in the heart of the lush rainforest where towering limestone cliffs and the sound of water tell a tale of water worn passages below. 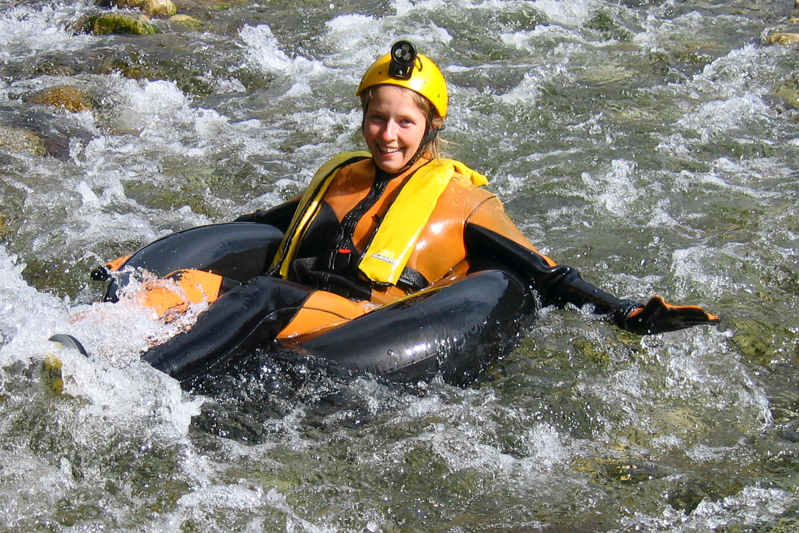 Following the river upstream, a short walk is the perfect time to pick up tubes and to soak up the peaceful atmosphere. Leaving the river bed 130 odd steeps lead to one of the highest cave entrances. High above the Nile River we disappear into the cave system. 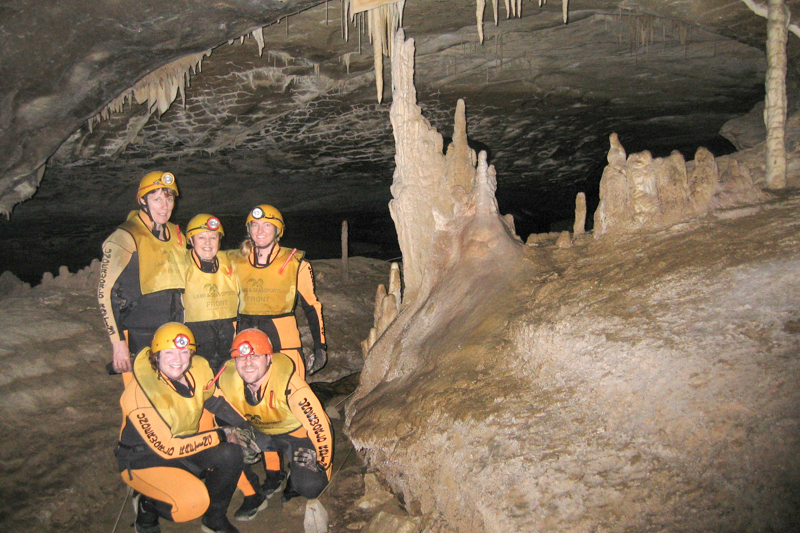 Emerging in this hidden world we explore a calcite paradise of stalactites and stalagmites, crossing huge chambers, following a maze system of passages the group disappears deeper and deeper into the cave. 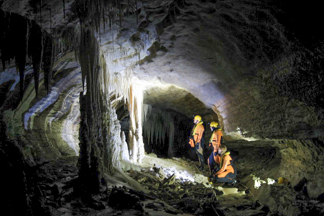 The walk through the cave is enriched with illustrations, explanations and stories how the cave has formed, local caving history and interesting facts and figures. Guided by the light of our torches the group descends into the bottom level of the cave where a dry underground river bed guides us to the edge of a subterranean lake. 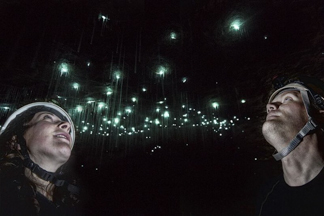 The exit is close and sitting on our tubes, linked together we float for 250 m under a stream of twinkling blue green glow worm lights surrounded by the darkness using only the natural light of the glow worms as a navigational aid . Exiting the cave we emerge into a remote and untouched lost world. The Nile is close and a bit of rock hopping provides access to the bank of the Nile, where a short tube down the gentle rapids brings us back to the train. 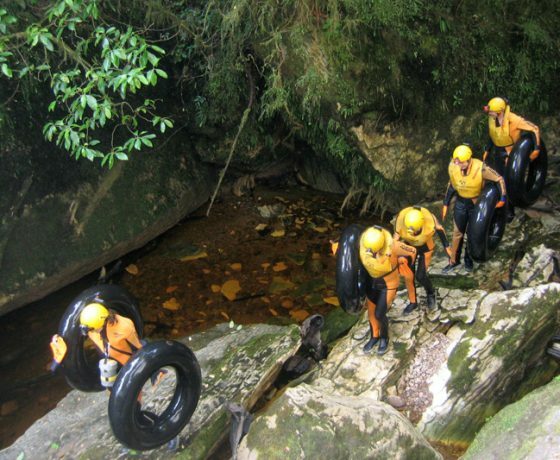 We supply the necessary gear for the trip and during the Underworld Rafting adventure we also take photos which will be digitally supplied to the client FOC. 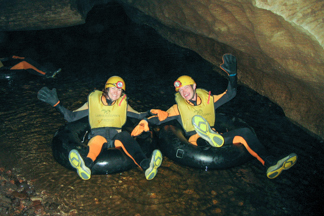 An adventure for the more adventures who seek a challenging, sporty and fully involved caving adventure. 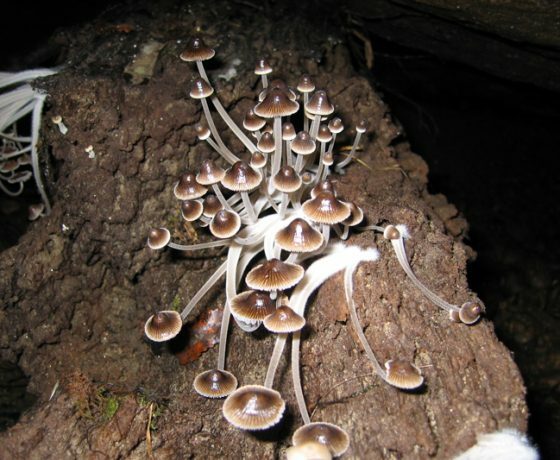 This trips takes you to a place you never will forget. 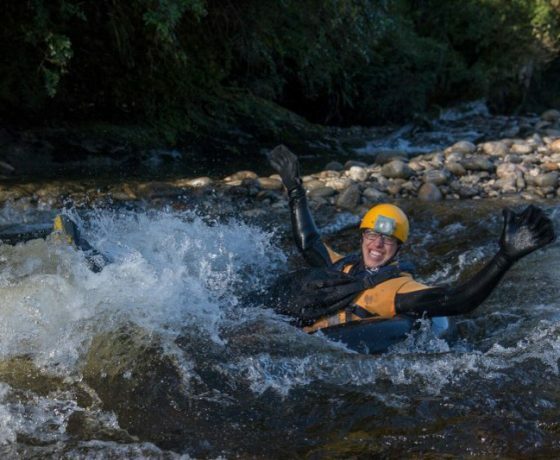 Exploring Te Tahi is truly not for the faint hearted. 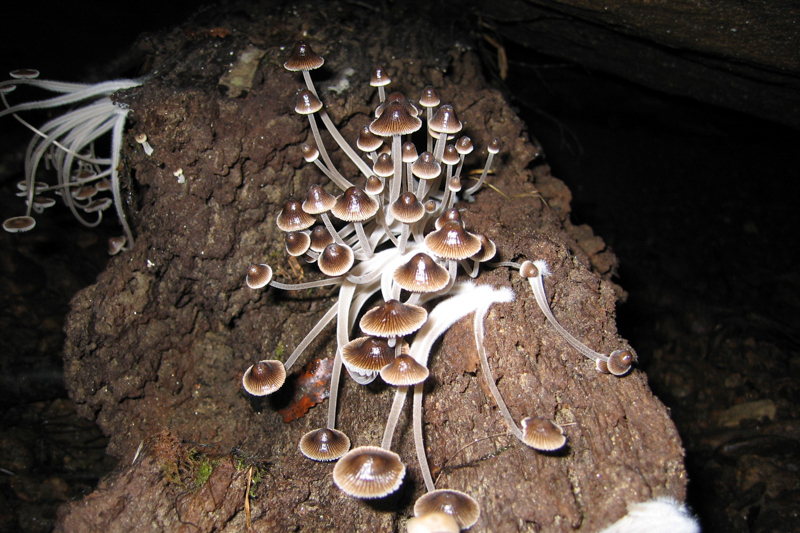 As the name states, Adventure Caving is full on expedition style caving which takes you into the Te Tahi cave system just 20 minutes out of Charleston. 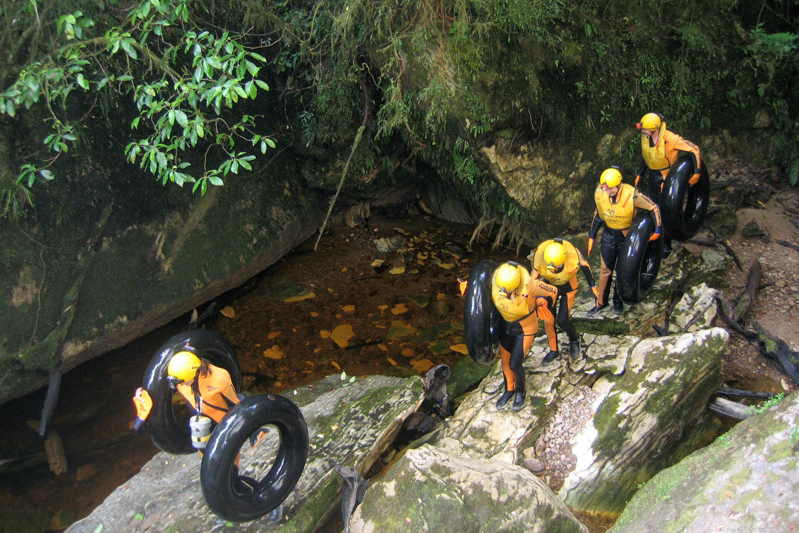 After safety briefings, getting ready and now fully dressed in wetsuits, overalls and equipped with harnesses, lights and helmets we drive up an old logging road leading right into the heart of the West Coast karst. 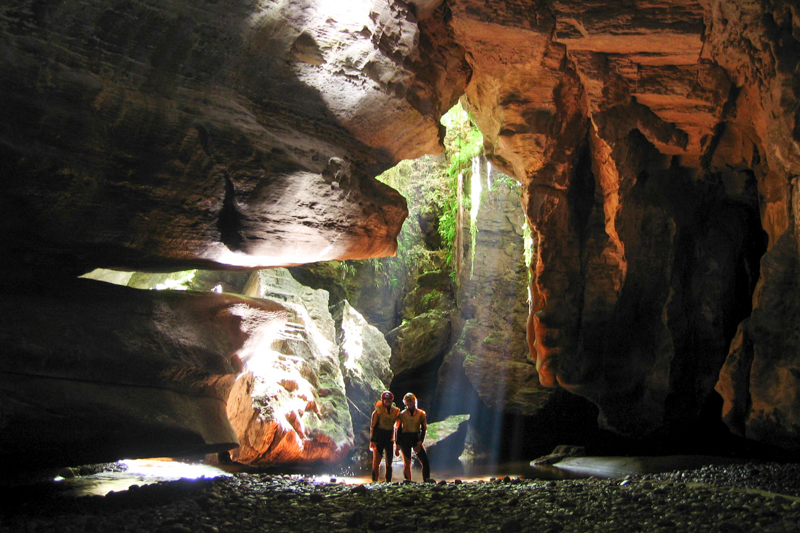 Following some practice, we begin our expedition styled trip with a 130 ft abseil down the breath-taking Hi Hi Tomo. Looking up this magnificent shaft the last bit of sunlight fades behind us and down under, a scramble over boulders in dry rift passages take our small party to the active waterways of Te Tahi cave. Climbing rifts and waterfalls we follow the water upstream slowly ascending. At this point stealth and commitment is required to climb, chimney, bridge gaps and crawl through amazing passages, surrounded by the water, the sound, the smell and the overwhelming unique atmosphere of the cave. 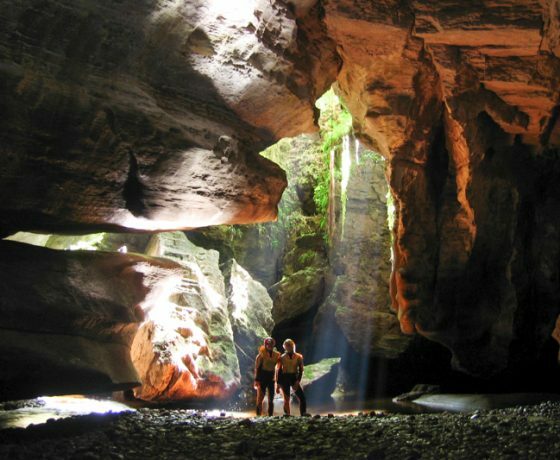 Active waterways lead to sporty passages with cascades, waterfalls, and squeezes and finally to the last stretch of dry passage where crawling, climbing and open chambers lead to a hidden exit. 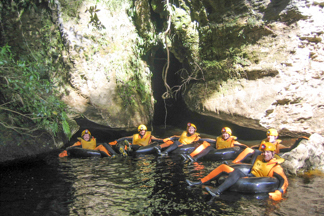 It is great fun and a physical challenge negotiating these narrow water passages and returning to the larger well decorated dry caverns. Along the way the party enjoys a deserved power snack in the ‘ white room’ stacked with superb formations. 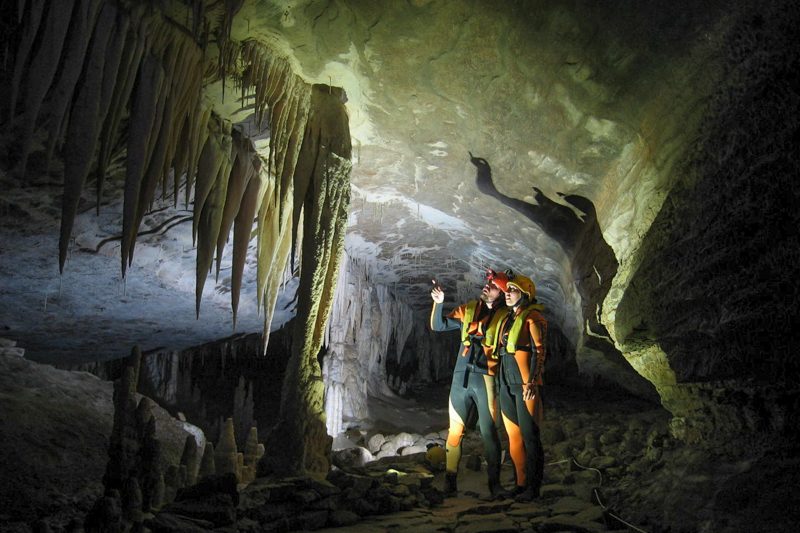 You will come face to face with fossils and develop an understanding of what exploratory caving is all about. After emerging back to the surface a short walk through the rainforest leads us back to the Tomo where our expedition started. 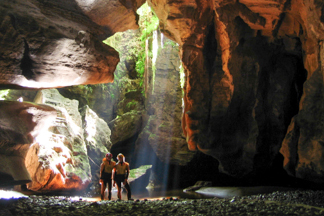 Definitely the right adventure for fit, capable adventurous with the desire for a real caving experience. All equipment is provided including a yummy power snack and photos taken during the trip will be supplied FOC. 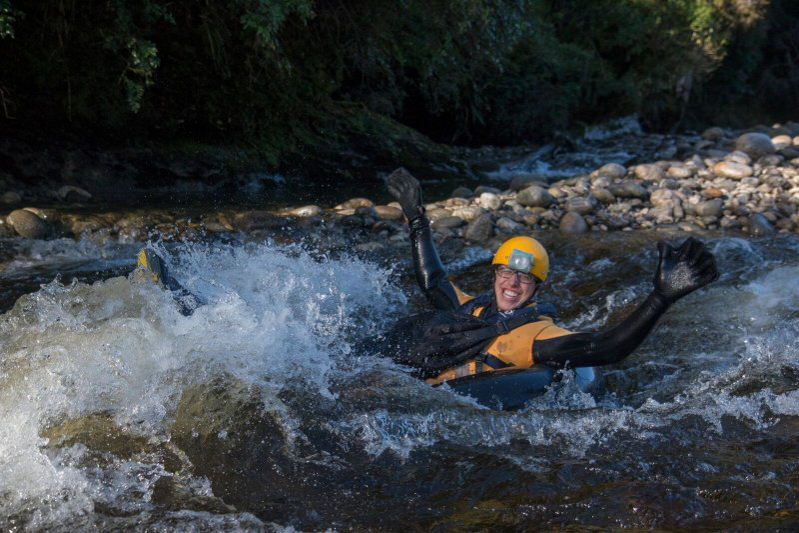 This is a full on caving day where you start with experiencing the best glowworm display on this planet and the stunning stalactite and stalagmite formations in the Metro Cave System before delving deeper into the water filled sporty passages of Te Tahi where abseils, climbs, crawls, squeezes & cascading waterways are waiting. Exploring these two unique cave systems combines the best of both, the timeless beauty and dazzling sparkle of the Metro Cave System’ s formations and incredible glowworm display with the challenging sporty active passages of Te Tahi. 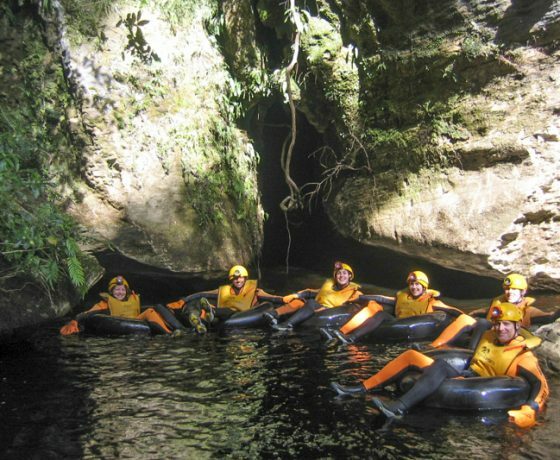 You start your day with a superb 4 hour Black Water Rafting adventure in the enormous Nile River Cave in the Paparoa National Park. On this adventure a short 10 minute’s drive brings us to our rainforest train and 15 minutes journey takes us up to a splendid upper terminal where towering limestone cliffs and the sound of water tell a tale of water worn passages below. A short walk upstream is the perfect time to soak up the peaceful atmosphere. 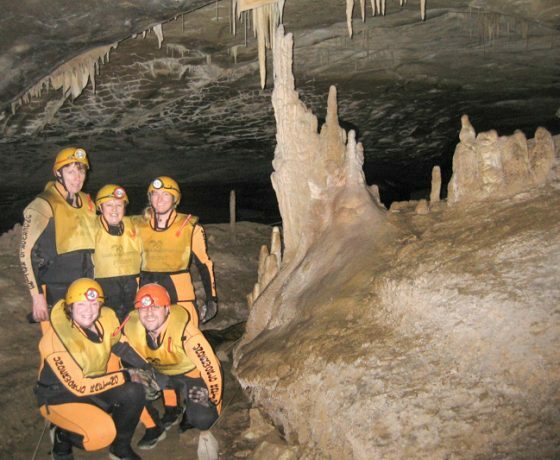 High above the Nile River we disappear into the cave system, where we explore a calcite paradise of stalactites and stalagmites, crossing huge chambers, following a maze system of passages the group disappears deeper and deeper into the cave. Guided by the light of our torches the group descends into the bottom level of the cave where we sitting on our tubes, linked together we float for 250 mtr’s under a stream of twinkling blue green glow worm lights. Exiting the cave the Nile is close and a short river ride down the gentle rapids brings us back to the train. “Following this gentle introduction to caving a more challenging agenda fills the afternoon, Te Tahi. 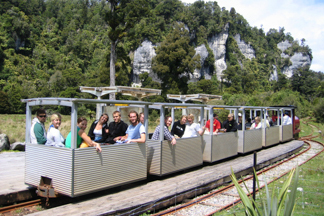 We start ourexpedition styled trip with a 130 ft abseil down the breath-taking Hi Hi Tomo. Looking up this magnificent shaft the last bit of sunlight fades again behind us and down under, a scramble over boulders in dry rift passages take our small party to the active waterways of Te Tahi cave. Climbing rifts and waterfalls, we follow the water upstream slowly ascending. At this point stealth and commitment is required to climb, chimney, bridge gaps and crawl through amazing passages, surrounded by the water, the sound, the smell and the overwhelming unique atmosphere of the cave. Along the way the party enjoys a deserved power snack in the ‘ white room’ stacked with superb formations. 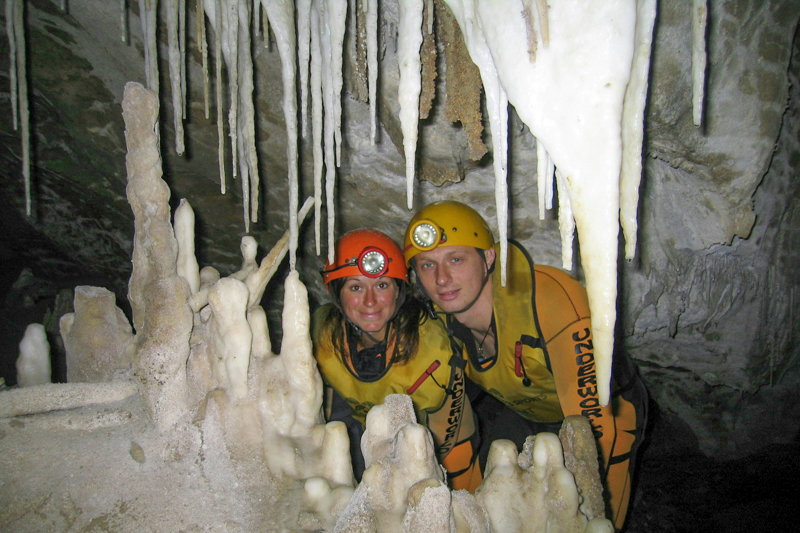 You will come face to face with fossils and develop an understanding of what exploratory caving is all about. After emerging back to the surface a short walk through the rainforest leads us back to the Tomo where our expedition started. 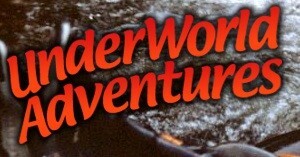 Avoid disappointment BOOK TODAY for your Underworld Adventure.